To celebrate Conflict Resolution Day, October 16th, Meta-Culture Dialogics, Center for Dispute Transformation and Dialogue, in collaboration with Bangalore Film Society, and Alliance Francaise de Bangalore, and with the generous support of Arghyam, Citizen Matters and Visthar, are presenting a week long Festival of Films on Conflict and Resolution. After a very successful launch in 2007, with over a thousand viewers, Meta-Culture Dialogics is renewing its effort to reach out to the Bangalorean public, offering alternative ways of looking at disputes and conflicts that are manifested and addressed around us. Each movie will be followed by an interactive discussion with the audience facilitated by a conflict resolution specialist from Meta-Culture. 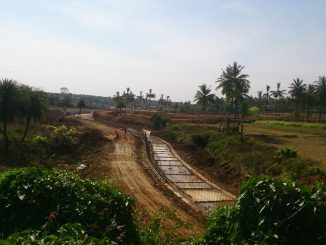 Development of yet another layout on Bengaluru outskirts is an environmental and urban planning disaster in the making, but it could still be mitigated if authorities care to listen.